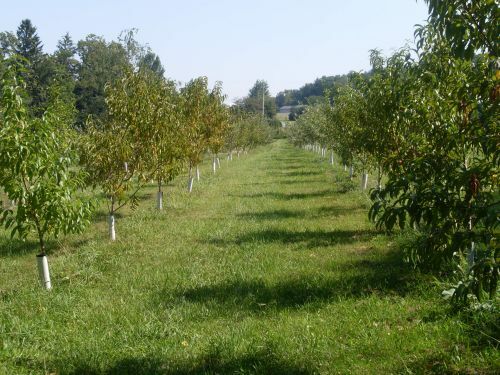 Orchard Country Produce is a family-owned and operated, sustainable fruit and vegetable farm settled in Cumberland County, Pennsylvania, in the Appalachian Foothills. We work diligently to provide fresh products (vegetables, fruit, berries, meat, chicken, and eggs) to those interested in a healthier lifestyle. We offer two 12 week sessions. or sign up for both! Check out our market locations for pick up. We have 2 markets in DC. We have 1 market in Columbia, MD. We have 3 markets in Northern Virginia. You can sign up for the CSA for 2019 by sending us a note with your name, address, pick up location and a check or you can stop by one of our market locations and pay with cash, check or credit card at the stands. Our variety is our customers' favorite aspect about our CSA. Enjoy browsing our website and do not hesitate to e-mail us if you have any questions or concerns.